Prepare for disasters with our Emergency and Survival Tools. Once disaster strikes, will you be able to get out and to safety? 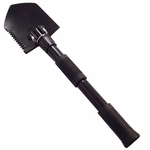 The exit ways might be blocked and you need the right survival tool to break glass, pry open doors, shut off Gas and Water utilities, cut through debris or break through walls. Or if you are in the process of assembling your own Disaster Survival Kit then you already know how complex that task can be. Not all items are readily available at your local stores and you might need additional Emergency Supplies. In the trunk of your car, the camping trailer, in the RV or when back packing, the emergency and camping items we select are of highest quality because we know that you depend on these supplies. 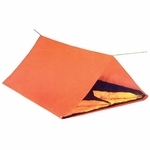 Below you will find an assortment of essential camping and safety tools along with emergency products that will help you outdoors and during or after a disaster.